Click the button below to add the Oily Hair Conditioner to your wish list. This Oily Hair Conditioner leaves hair with more volume, silky smooth and shiny without weighing hair down. Lemon, Tea Tree and Peppermint essential oils deliver a lovely scent and also provide antiseptic and antibacterial qualities that keep your hair and scalp clean and refreshed. Jojoba Seed oil penetrates the scalp and hair shaft to loosen and dissolve excess oil and buildup. Sunflower and Grapeseed oils provide lightweight hydration to revitalize and leave your hair looking and feeling silky, soft and radiant. This conditioner is free of dyes, parabens, artificial color, fragrance, and animal byproducts. 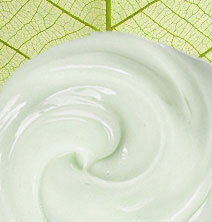 Upon the first use of our oily hair conditioner, your hair will feel weightless, soft, shiny and rejuvenated. Keratin straightening treatments, perms, colors, and other hair treatments are maintained and protected with this conditioner. Hair is volumized and vibrant, detangled, strengthens hair, and helps prevent damage. It's theorized that applying Jojoba oil to the skin can trick the skin into thinking it is producing enough oil, thus balancing oil production and making Jojoba oil ideal for oily hair. Grapeseed oil is loaded with antioxidants and has many beneficial properties. It is lightweight, easily absorbed, rich in omega-6 fatty acids with omega-9 and omega-3 acids and is also for excellent lightweight conditioning of oily hair types. 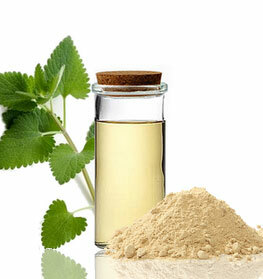 Lemongrass essential oil helps balance oily skin and rejuvenates oily skin. Naturally scented with pure Lemongrass, Lemon, Tea Tree Essential Oils and others makes for a crisp, clean, and refreshing experience. After shampooing, apply the conditioner for oily hair to wet hair and distribute evenly. • Use enough conditioner to cover your ends and midshaft, depending on the length and thickness of your hair. • Avoid the roots to prevent oiliness. I started using this brand together with the shampoo, and I will not go back to salon brands. I have no more itchy scalp, and my hair isn't nearly as greasy as it used to be. I love the smell and the way it leaves my hair. Just lovely. I use the cider vinegar scalp treatment every once and a while too. This product smells wonderful. I very small amount goes a long way. I only run it through the ends of my hair and it makes it very soft. We have only been using it for a week, so I am not sure it cuts back on my oil production, but love the smell and the quality ingredients. For my daughters super thin, pin-straight, oily hair it works great! She has some body to her hair now, and it doesn't get oily for 24 hours. Amazing!